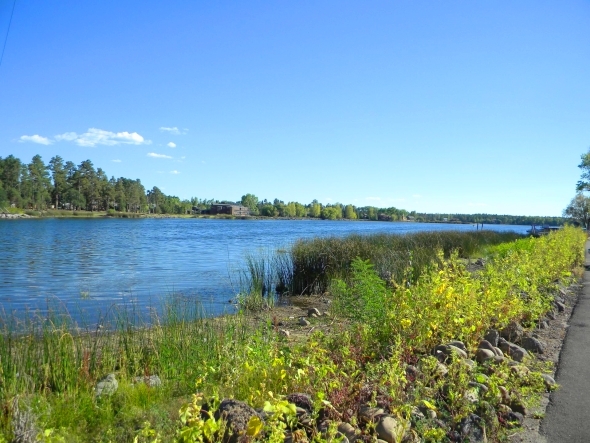 The Shores is a gated community located in the heart of Lakeside, Arizona. You can find amazing deals on custom built homes that actually have lake front property here in Arizona. The Shores subdivision has both condos and homes for sale that are either located right on Rainbow Lake or just minutes away. Don’t miss out on the opportunity to live right on the lake in one of the only locations in Arizona that offers this. Majority of the residents that have homes that are situated on Rainbow Lake have their own private boat docks. Enjoy fishing or amazing views from your back yard looking onto Rainbow Lake. Also, there is a Home Owners Association in this community that keeps the area very clean and landscaped. Check out the latest listing inside The Shores at Rainbow Lake and be sure to contact Jason Grimes if you have any questions.